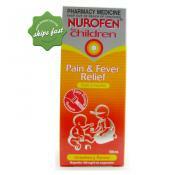 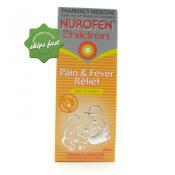 Nurofen for Children Orange Liquid 200ml has been especially designed to provide fast and effective relief to babies and children. 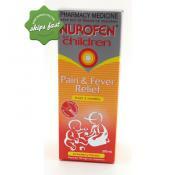 Nurofen for Children Strawberry Liquid 100ml has been especially designed to provide fast and effective relief to babies and children. 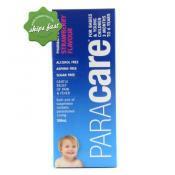 Paracare Junior and Junior Colour Free are for the relief of pain and fever in common childhood illnesses Comes in a delicious Strawberry flavour For teething pain, earache, headache, sore throat and relief and discomfort from the common cold, viral infections and vaccination reactions. 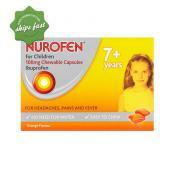 Nurofen for Children Soft Chewable Capsule is an easy to chew tablet that gives your child temporary relief from mild to moderate pain associated with: sore throat, dental pain, earache, headache, minor aches, sprains, strains and pain of cold and flu as well as fever reduction.